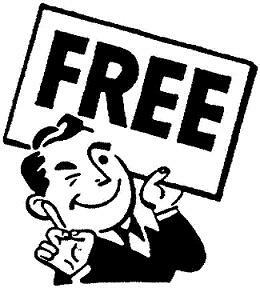 May 2012 | Free Pc to Phone Calls, Free Voip Calls to India International ! With so many advanced operating system like android, windows mango, iOS, and bada, many people have shifted to these from Nokia and its old symbian operating system. Though Nokia is trying to catch up with launch of new windows based phone (Nokia Lumia), however the symbian Nokia phones are still lagging. One of the main reason for this unavailability of voip applications on Nokia Mobiles. However the one of most used application for messaging is available for Nokia Mobiles. We are talking about the amazing and highly useful application "Whatsapp". Whatsapp for Nokia Mobiles is available for download in the nokia store. 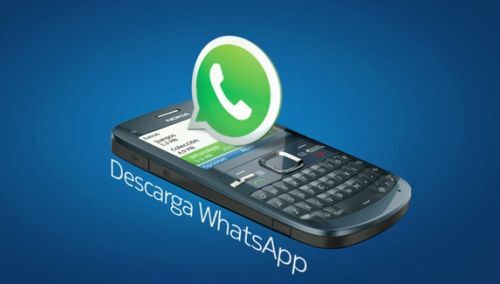 Today we will look at the Whatsapp application for Nokia phones or Whatsapp for Symbian based mobiles. A few words about Whatsapp messenger : It is a substitute for conventional SMS messaging. Its a free messenger which enables you to message international text free of charge on smartphones using internet facility, your data plan. Its is a multi platform application having client for your Blackberry, Android, iPad, iPhone, Android Tab, Nokia Mobiles and even on your computer. Whatsapp application is available for all these devices. Using Whatsapp is very easy. You just need to install the device. No need to add any contacts. All those your phone contacts (yes your mobile contacts) who have whatsapp installed on their phone will automatically be shown in your Whatsapp buddy list. This one is a problem with Skype on mobile, we have to add contacts specifically. I really find it difficult to add contacts in Skype. This is one of great feature of Whatsapp! Group Chat : Send sms from Nokia Mobile to iPhone, Blackberry, Android for free. Multimedia Message for Free : Send Video, Images, and Voice notes to your friends and contacts. Free Whatsapp Service : One year free. After first year, a nominal charges of about $0.99 per year. But yes, first year free. No contact information, no username. Offline Messages : Does not require to remain connected to internet all the time. Just send the message anytime, whenever your friend is connected to internet, message will get delivered. No need for internet all the time. We already have a compiled list of whatsapp supported nokia phones. One of the most important section of this post. A lot of our readers have questions about Whatsapp for Nokia Mobiles. Below is a list of top questions and answers. Please note that if you are facing issues with Whatsapp on your phone, the most common solution (which actually works) is reinstalling the application. You can also try installing the latest version from their website. If you delete and reinstall WhatsApp on a Nokia phone you will lose your message history. So its better that before you delete the app from your phone, you take the backup of your whatsapp history. - Go to Menu -> Applications -> Installations. Select and long press WhatsApp o press Options (for phones with a physical keyboard). - Take a moment to say goodbye to WhatsApp. - Remember the good times you had with WhatsApp and say farewell. - Go to Options -> Delete. Q. The app which I downloaded from ovi store failed to open up. You better download whatsapp from its homepage to your computer (it should be a .sis file). Then simply connect your phone to your computer (plug the phone in and selected mass storage and not ovi) and copy the whatsapp install file to the memory card. Now disconnect from the pc and run the install file by selecting it on your memory card through the file manager. Q. Battery drain issue when using Whatsapp on Nokia. Many people have complained that when using whatsapp, their phone battery just drain off in just few hours (for some it is three hours). I tried to look up for a solution to this problem, but could not. Their is no simple solution to this. What most people recommended is to switch off wifi and use this app on your data plan. It is wifi which is consuming all the battery. Please post your comments/questions/feedback in the comment section. We will pick top questions and post it here itself! Its time again we do some post round up and provide you with a consolidated list of offers we posted last month. Today we will list down and categorize the popular April 2012 posts. 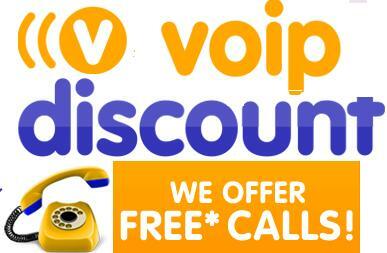 In April 2012, we posted good number of voip offers, reviewed many smartphone applications, provided many new tutorials. So if you missed out any of the offer last month, just check this post and make yourself aware of latest in voip industry! If you have any feedback then please post it in the comment section. If you would like a post/review any specific deal/app/voip provider please contact us. Free Pc to Phone Calls has increased its social presence. (Time to time, we will be bringing exclusive deals for our Google Plus and Facebook Fans). So, its time you join us on social media. VoipJumper : A review on betamax voip provider named VoipJumper. Its a good option to make cheap international calls, however it make sense only if you are okay with betamax! Vopium : Mobile voip application to make cheap calls on mobile. ForFone : Its a voip app which is getting popular for android and iphone mobiles. If you have android or iPhone, just check this now. Tango for Blackberry : Use tango voip application to make free video calls on your blackberry mobiles. Talkatone Facebook : Talkatone Free Calls on Mobiles using facebook login. Nymgo for Android : If you are having a smartphone, then just install nymgo on your android mobile and make cheap international calls. Nymgo calling rates are very competitive! Localphone offered free 150% Bonus code to all new customer. That is buy credit worth $1 and get $1.5 free. SnapDeal Voucher Code April 2012 : Free giveaway of snapdeal voucher codes. Free Calls to Cyprus by Localphone : Offered one week of free calls to Cyprus. Talkatone application is getting really popular on android and iPhone mobile devices. But what about people stuck with Blackberry! Using mobile voip on blackberry phones is the way you can save lot of money. Just like blackberry messenger, mobile voip applications like Talkatone or Viber offers free calls to other users. The good thing about blackberry mobiles is that people are using internet on these mobiles. Using the internet on mobile you can place free calls. The only problem is that very less mobile voip applications are available for blackberry phones. Talkatone uses Google Talk and Google Voice services and bridges the gap between instant messaging on your computer and regular cellular calls on your mobile device. 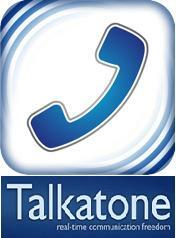 Talkatone offers free calls, free text messages, sharing location etc. Viber for blackberry was also recently launched, and lot of blackberry users have complained about the delay. Many have already switched to android and iphone and many people still want to switch from blackberry mobile. Talkatone not officially launched for blackberry is another reason people want to switch to android. Talkatone for blackberry is not officially launched. However the talkatone team is working on the blackberry app version and it is expected to be launched soon. You will be then able to download the talkatone app on your blackberry mobile. Login with Facebook or Google account to call and chat with friends anywhere in the world, even when you are on a plane. No need to register with talkatone. Talkatone uses WiFi or 3G connection only and doesn't use your cellular minutes. Don't pay for roaming, keep your number with you wherever you are and communicate with your friends as soon as you get connected. When you invite your friends and they start using Talkatone you get high quality voice calls, unlimited text messaging and new features, such as location sharing. Google Talk for Talkatone-to-Talkatone or Talkatone-to-Mac/PC calls : Those calls are free, even international ones (although data charges may still apply, especially when using Talkatone over a cellular network). In order to make this type of calls, the person you are calling should be in your friends (contacts) list, be online and use a compatible client (which knows how to handle voice calls), ex. Talkatone. Google Voice calling, i.e. calls to regular telephone numbers. If you are in the U.S. or Canada you can have Google Voice account. The talkatone app is expected to be launched very soon for blackberry mobile and then you will be able to download it for free. Talkatone for blackberry app will be available for all blackberry users, yup all talkatone for blackberry curve, bold, torch, bold 9780, 8250 ... basically all blackberry phones! We will be updating this post about the latest on talkatone for blackberry mobile. So just stay connected to this post. We will also ask talkatone team to update us about the latest on talkatone for blackberry. If you have any question or problem you are facing, please post it in the comment section. Not many people are using windows mobile if you compare with Blackberry or Android. Viber has already launched its application for android and iPhone and now it has released its app for blackberry mobile and viber for windows phone. This is a great move by Viber and it is becoming number one mobile voip application. Viber is completely free with no advertisement and the application is free for download. Viber is a multi platform application using which you can send text messages and free calls from windows phone to android mobile. Free Calls from Windows phone 7 to iPhone and all other combinations. Viber windows users will be able to make unlimited free calls to all other viber users. One good feature about this Viber app is no need to add contacts. The Viber app automatically sync all your contact list. It clearly shows (with a icon) about who's in your contact list is also using viber voip app. You will be able to make free calls and send sms to these contacts for free. Please note that currently the Viber For Windows Phone App is in beta phase. The new viber windows beta application do not support voice calls. The current viber windows mobile application supports messaging : users can send message, which does include sending photos, texts and exchanging location information. Still a good feature and the full app launch of Viber will have lot more features. Free Text Messages to all viber users on any viber compatible device. Free Application : Viber app for Android, Viber app for iPhone, Viber App For Blackberry and Viber app for Window's Smartphone is available for free. Works on 3G, Wifi, Gprs, Edge. Good customer support. You will get the answers from customer support on this blog itself! Easy to use : No need to add contacts. Its all automated. Viber app for windows mobile can be downloaded from windowsphone app store. Here is the direct download link. Once you download and install the viber application on your windows mobile, you need to complete the verification process. This is very important to complete the registration process. Viber app can calls on your number or send you a sms which contains a PIN. You are supposed to enter this PIN in the app and viber can now run on your windows mobile. 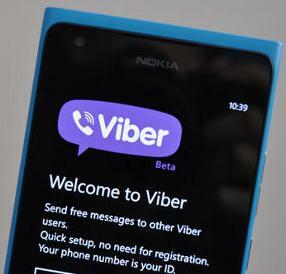 Well as the Viber for windows mobile app is in beta phase, so you may face a lot of problems with the app. So if you have question or any comment/feedback about viber windows phone beta app then please post in the comment section. We will post the top ones in this section so others can also benefit from the same. Nymgo is surely creating lot of attention again. 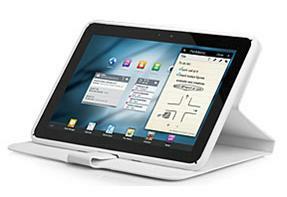 It was one of the top voip providers in the year of 2008-2009, which soon lost its charm. However it is back again. Few days back we posted about Nymgo app for Android mobile. It is option for making cheap international calls. It offers really cheap rates for many destinations, specially to Asian countries like India, Pakistan and Bangladesh. Earlier Nymgo was offering free trial bonus of $3, which was a great hit as well. If you have an iPhone, iPad or iPod Touch then you can try the Nymgo app for iOS device. Today we will discuss the Nymgo app for iPhone/iPad. If you are a Nymgo customer having iOS device, then Nymgo app for iPhone is a must for you. 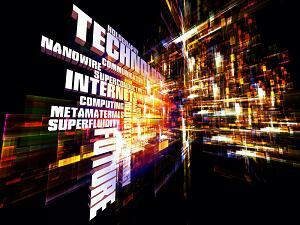 Mobile voip helps to save a lot of money. You can simple install Nymgo iPhone app on your mobile and start making cheap international calls. All you require is internet on your iOS device and you can use Nymgo app on your iPhone. Good thing is that it offers application for iPhone, iPad and iPod Touch as well. In short, you can use Nymgo iOS app on iPad and iPod Touch and turn them into a phone. Multi tasking with Nymgo iPhone app. Nymgo has recently started a reward program named "Hello Points". This is valid for all users. Whenever you purchase credit you will get Hello Points. On successful registration you will get 5 free hello points, on caller ID activation you will again get 5 hello points. If you invite your friends to Nymgo (they create a Nymgo account), then again you will get free hello points. When you reach 60 points, you can redeem these points for making free calls. The conversion rate is 60 Points = $1. So with this Nymgo offer you can get some hello points and make unlimited free international calls. Ad from the Nymgo for iPhone app, inviting friends is very easy! Please note that even if you are not having any smartphone, still you can use Nymgo on your person computer. Just use the Nymgo Computer application for making phone calls. Its my most favored way of making calls. Infact they also offers voip application for blackberry mobiles. Nymgo support is also very active, if you have any problem with Nymgo just post it in the comment section itself. We will try to get Nymgo support answer your queries. If you have still not joined Localphone, then its high time you do so. Every week Localphone offers free calls to one country and this week Localphone is offering Unlimited Free Calls To Venezuela's Landline. The good thing about this free calling offer is that no hidden charges, no fair usage policy and it offer is valid for old and new customers. You can make free calls to Venezuela for as long as you like! Previously Localphone has already launched some great promotions like free calls to Cyprus, Portugal, Canada, USA, Franc, South Korea and now its turn for Venezuela. Please note that this is weekly promorotion by Localphone, so this offer will lasts for only a week. That is make free calls to Venezuela from 4th May 12PM (GMT) to 11th May 12PM (GMT) without having any Fair Usage Policy. Call rates to Venezuela are expensive so make full use of this offer before it ends. If you have not yet joined Localphone, then its high time to do so (we are also running a special promotion : Free 100 minutes). The free calls to Venezuela Landline offer by Localphone is valid for both old and new customers. All you need is to be a localphone customer. You can make free calls to Venezuela for free (no requirement to buy credit). Clearly, Localphone is a good choice for making calls to Venezuela. If you have any concerns please post in comment section, we will try answering asap! We have been discussing so many ways to make Free Pc to Phone Calls. We have also discussed lots of applications for iPhone which offer cheap and free international calls. Voip apps like Viber and Whatsapp are most used apps on iPhone. 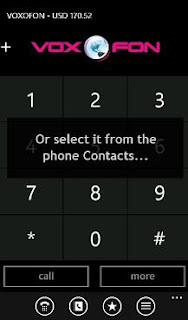 These are one of the best apps for making calls and sending free text messages. Today we will look at another similar app : ChatCube which can be used to make free calls and send unlimited free text messages. ChatCube offers unlimited free calls with other ChatCube users. You can also make free video calls to other ChatCube users. These are high quality voice and video calls. ChatCube is available for free download on iPhone and soon it will be released for Android mobiles. The best part is ChatCube offers free $1 credit to all new users. Use this credit to make free international calls to other mobile phones not using Chatcube. ChatCube for Android will be launched very soon! It was supposed to be launched last month. After that they will work to support ChatCube for windows! It is very easy to get free $1 credit from ChatCube. All you need to do is register with ChatCube and start using their smartphone app. Just follow the steps and get $1 free international calling credit for making free calls. Download the ChatCube For iPhone App, or from apple store. Install ChatCube on iPhone and register with Chatcube. For verification, confirm your mobile number. After confirmation, you will get $1 For making International calls anywhere in the world. Enjoy free calls from your iPhone with WiFi or 3G. I am rushing to try ChatPhone on my iPad and will be waiting for android app. Are you ?